Over a hundred representatives of renewable energy and energy efficiency businesses will descend on the General Assembly tomorrow, February 3d, for Clean Energy Lobby Day. The annual event gives legislators the chance to hear from small businesses across the state that are set to grow if Virginia gets the policies right. The tradition of a lobby day for clean energy businesses began four years ago as a way to create a counterweight to the outsized influence of utility and fossil fuel interests in the legislature. The Sierra Club organized the popular, bipartisan event its first three years. For 2015, the businesses themselves have taken over, led by a coalition group called Virginia Advanced Energy Industries, and MDV-SEIA, the solar industry trade association. Participants will primarily discuss with legislators the bills with the greatest potential to affect their own business interests. I’ve described most of these bills in previous posts, so I’ll just list a few here, with their current status. Legislation to promote Property Assessed Clean Energy (PACE) financing for energy efficiency and renewable energy on commercial properties. SB 801 (Watkins) has already passed the Senate unanimously. Its companion bill, HB 1446 (Danny Marshall), and the somewhat similar HB 1665 (Minchew) have been assigned to a subcommittee of the Counties, Cities and Towns and are on the docket for Wednesday, February 3. Delegate Randy Minchew’s HB 1636, creating a program for community net metering. This is a top priority of the solar industry. Sadly, it has been assigned to the Commerce and Labor Committee’s subcommittee on Energy, typically considered a wholly-owned subsidiary of Dominion Power. Prospects aren’t good unless Delegate Minchew negotiates a deal with Dominion. The renewable energy grant program, HB 1650 (Villanueva), which passed the GA unanimously last year, has already died in a House subcommittee. 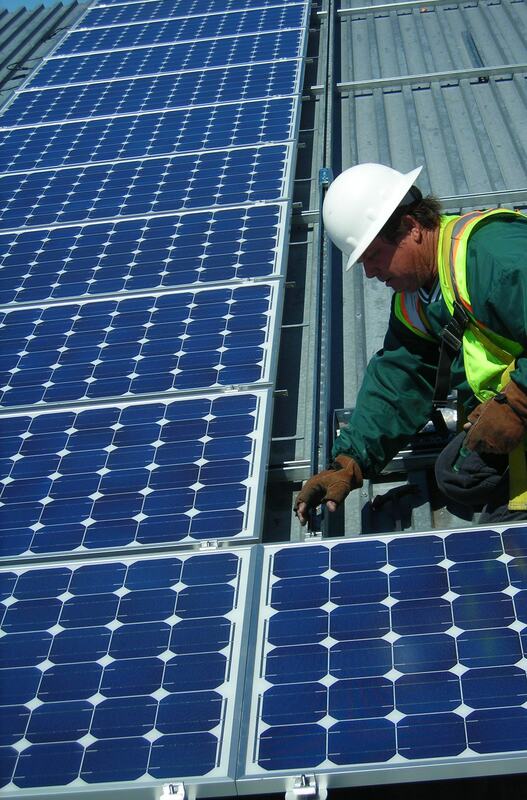 HB 1725 (Bulova) and SB 1099 (Stuart) would establish the Virginia Solar Energy Development Authority. Bulova’s bill is before the House Subcommittee on Energy. Stuart’s bill has already passed the Senate, with an (unfortunate) amendment to give the legislature more power over appointments. Many of the clean energy bills on the House side will be heard in the Commerce and Labor Committee’s subcommittee on energy Tuesday afternoon. The timing is not exact; the meeting will follow the conclusion of the meeting of the full committee, in House Room D of the General Assembly building. The subcommittee’s docket has been posted here. In addition to legislation mentioned above, the subcommittee docket includes other bills of interest, like Yost’s HB 2219 and Yancey’s HB 2237, which promote utility-owned solar, Lopez’s RPS bill, HB 1913, and Villanueva’s Coastal Protection Act, HB 2205. Some lobby day participants will also be urging opposition to legislation that would prevent Virginia from moving forward quickly to comply with the EPA’s Clean Power Plan, which favors renewable energy and energy efficiency. One such bill, HB 2291 (O’Quinn), is on the House energy subcommittee docket. The equivalent Senate bills are in Agriculture and Natural Resources, where they have not been heard yet. This entry was posted in energy efficiency, legislation, Renewable energy, Solar and tagged Dominion, General Assembly, MDV-SEIA, net-metering, PACE, solar, VA-EIC. Bookmark the permalink.